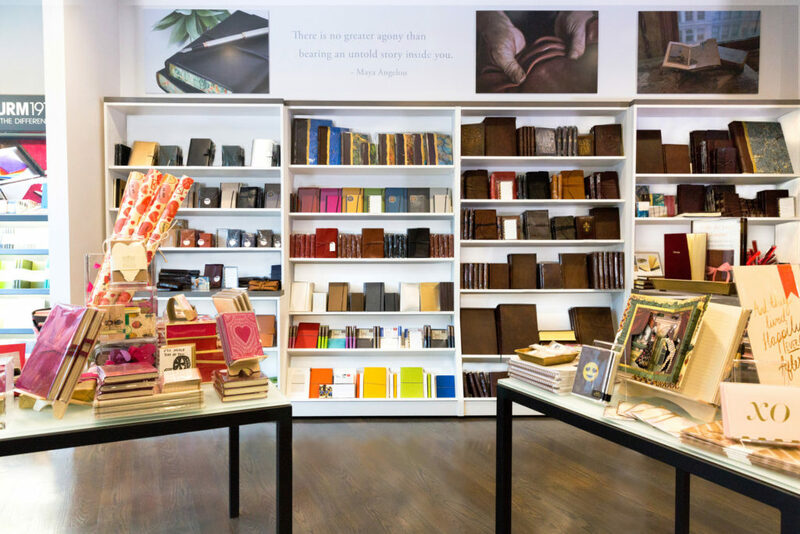 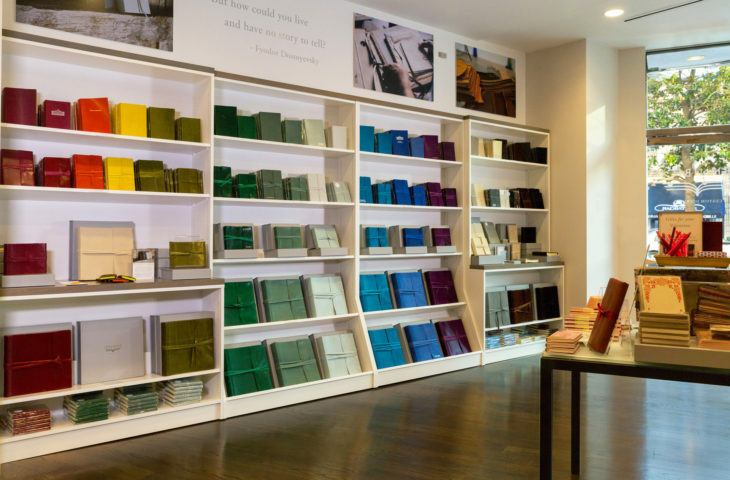 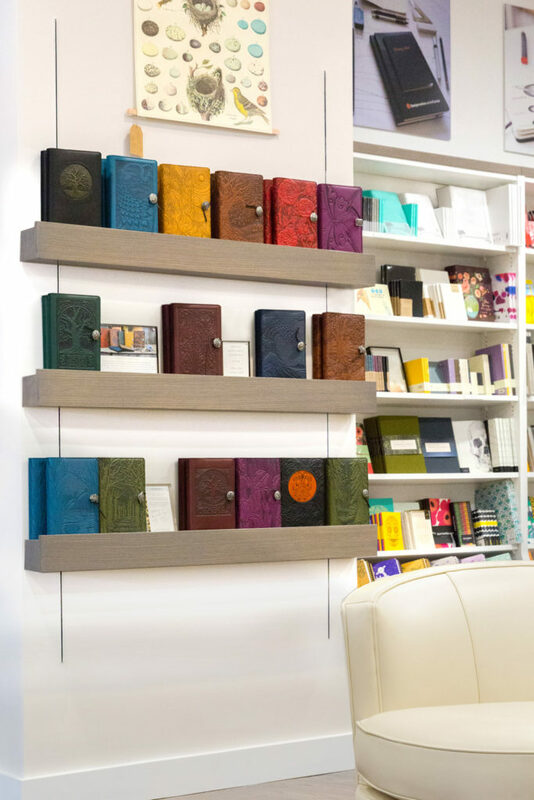 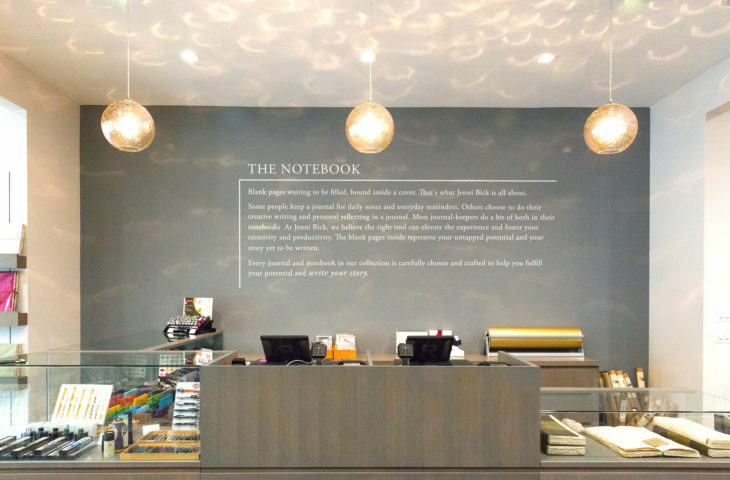 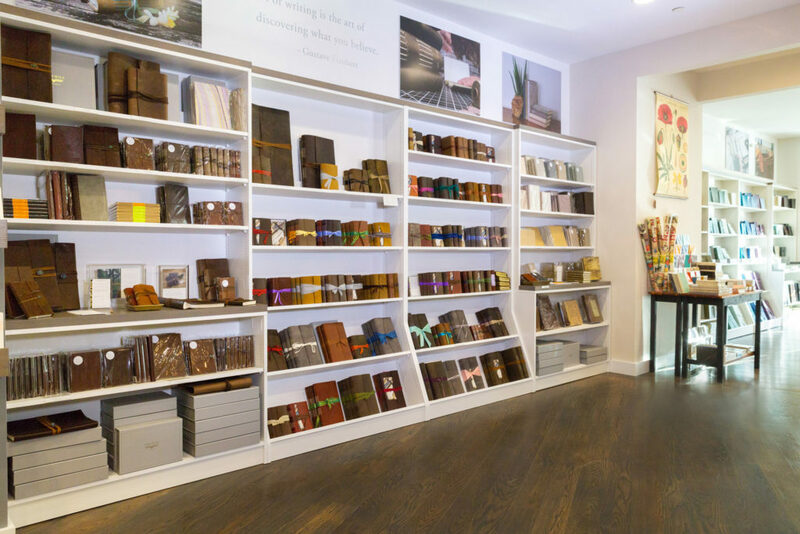 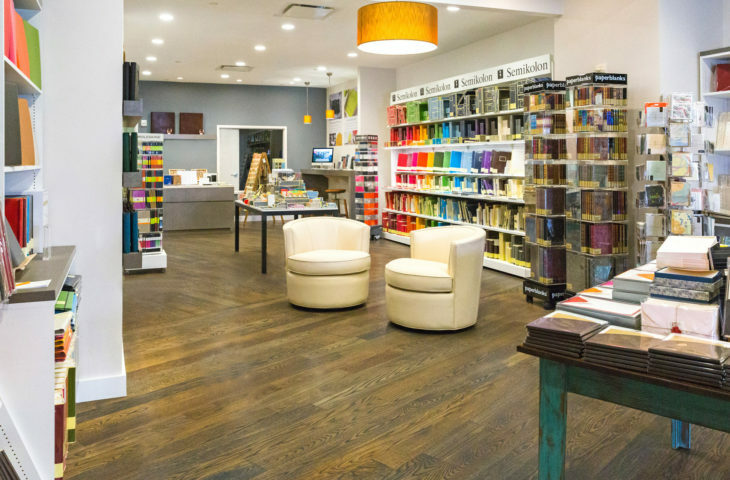 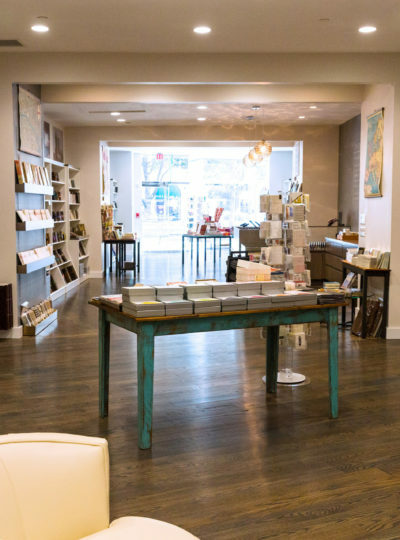 GTM worked with owners Jenni and Robby Bick to create a space that accentuates the products, which include personalized, handmade and custom journals, notebooks and albums. 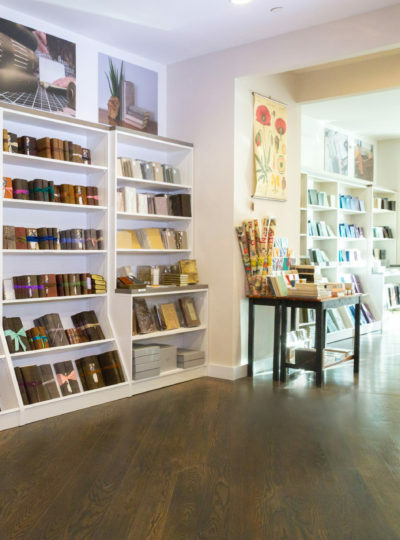 GTM kept the organic and natural design aesthetic of the online store by incorporating a neutral, modern décor in the retail space that includes wood shelves, hardwood flooring and light-colored walls. 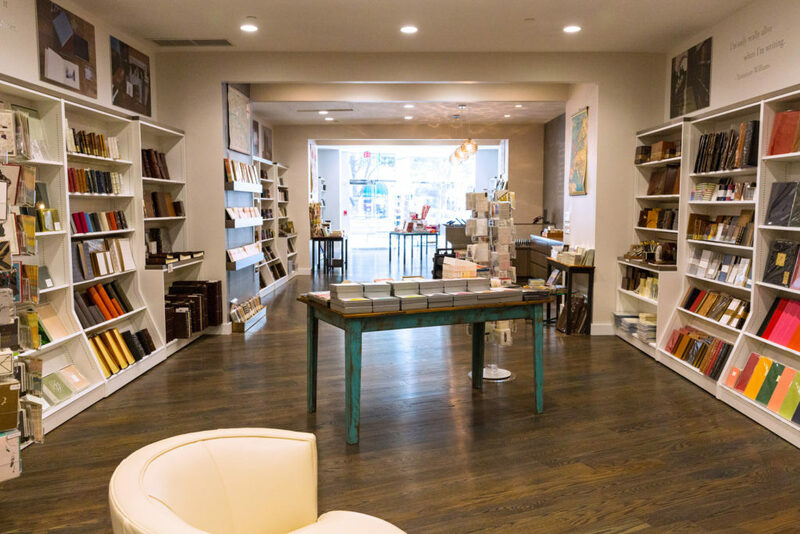 Extensive shelving showcases an array of colorful merchandise, while freestanding tables and shelves provide a place for seasonal and specialty items. 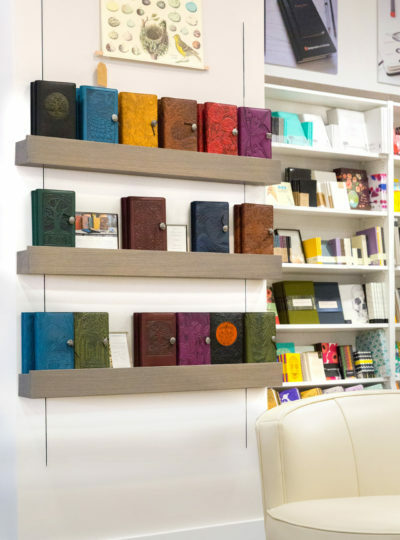 Customers can review the products, select fonts and text for personalization, and watch the embossing process.